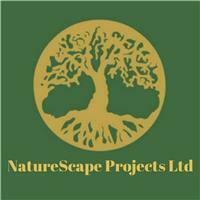 Naturescape Projects Ltd - Landscaper based in Sunderland, Tyne and Wear. NatureScape Projects brings together the practical conservation and traditional landscaping skills, together with professional project management skills from a former Commercial Manager, from one of the UK's largest H&S consultancies. Not your traditional landscapers, our aim is to create value driven sustainable spaces with your needs at the centre of design. Through an initial conversation, we ask questions to understand the best options for you and present a formal quotation with fixed price option costs, giving you an easy to read breakdown of costs to work around your budget. Friendly and polite, we arrive in clean, modern sign written vans and presentable uniforms, and have recent DBS checks. We relish the chance to support more environmentally friendly projects (like supporting the forest schools we work with), and are also happy to install hard landscaping in areas where this is the most practical approach to achieve your needs. Thank you for taking the time to read a little about us, we hope to hear from you soon! We can efficiently and effectively deliver your projects throughout Tyne & Wear and Teesside. Adam breaking through the ice in a pond to allow 30% vegetation clearance. A toasty -2 degrees! Pond vegetation clearance starts with ice clearance! Michael removing inch thick ice from two large ponds at a school prior to removing 30% vegetation.